Don W. Redmon, age 80, of Wartburg, TN passed away peacefully at home March 20, 2019. He is preceded in death by his parents, John and Annie Justice Redmon; brother, Jerry L. Redmon and daughter-in-law, Judy Redmon. He leaves behind his loving wife of 59 years, Eva June Freels Redmon; sons, Lynn Redmon and wife, Diana and Johnny Redmon; grandchildren, Stephen Redmon and wife, Brittany, Jozi Redmon, Jordan, Brittany and Isaiah Redmon; great-grandchildren, Elijah Ruppee, Emma, Ella and Ethan Redmon; sister-in-law, Karen Redmon; nephew, Mathew Redmon; niece, Rhonda Wedemeyer and husband, Steve and Lisa Hooks and husband, Matt and a host of nieces, nephews, cousins and special friends and family. In the “Good Ole Days”, Don did mechanic work, fooled with horses and drove a school bus. As if that wasn’t enough excitement, he moved on to start a career that would last over 33 years with the Morgan County Emergency Services. He became a Volunteer with the Wartburg Volunteer Fire Department. He served on the E-911 board. He was an EMT-IV with the Ambulance Service. 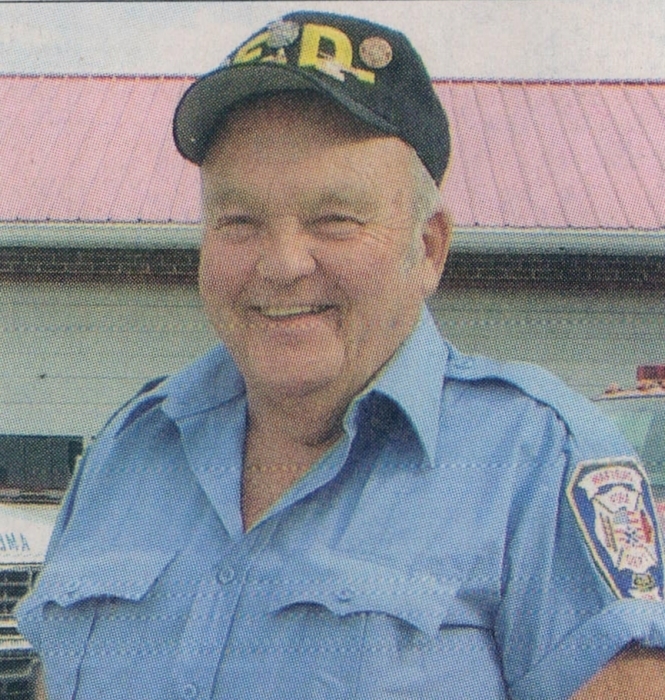 He received the Floyd E. Freytag Lifetime Achievement Award of 2007 around the same time he was honored with The Region EMT-IV of the year award. “Daddy Don” or “Papaw Don” loved the work and the ones he worked with. Thank you to all who have helped with his care. Methodist Medical Center, Life Care Center of Morgan County, Morgan County Ambulance Service and Schubert Funeral Home. The family will receive friends Saturday, March 23, 2019 at Schubert Funeral Home in Wartburg from 2:00-4:00 p.m. with the funeral to follow at 4:00 with Bro. Jim Disney officiating. Interment will follow in the Wartburg City Cemetery in Wartburg. Schubert Funeral Home is in charge of the arrangements Don W. Redmon.